XXXXXX (town) You Can Bank on us to Lend Martin Racher, Area Director Commercial Banking Bristol & Somerset. 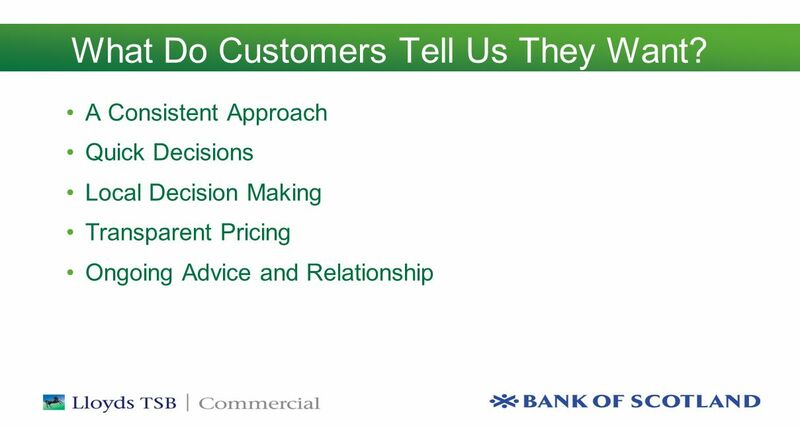 5 A Consistent Approach Quick Decisions Local Decision Making Transparent Pricing Ongoing Advice and Relationship What Do Customers Tell Us They Want? 8 Is it a Good Time to Borrow? 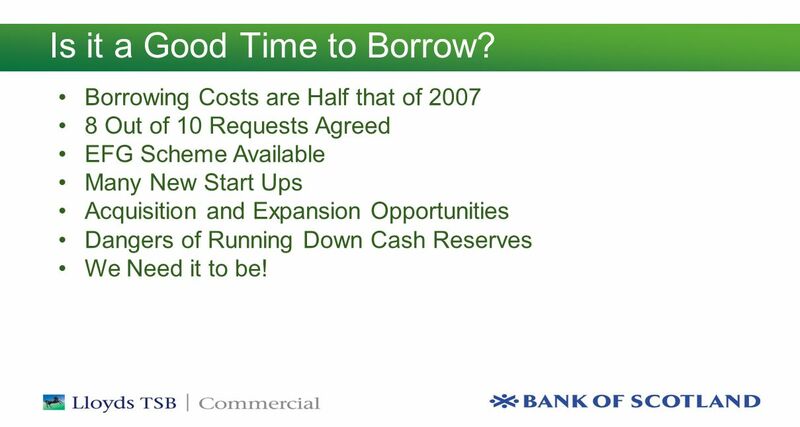 Borrowing Costs are Half that of 2007 8 Out of 10 Requests Agreed EFG Scheme Available Many New Start Ups Acquisition and Expansion Opportunities Dangers of Running Down Cash Reserves We Need it to be! 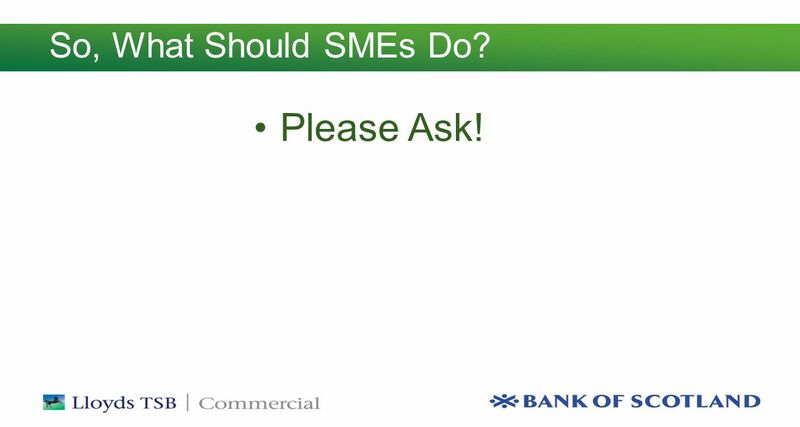 9 So, What Should SMEs Do? Please Ask! 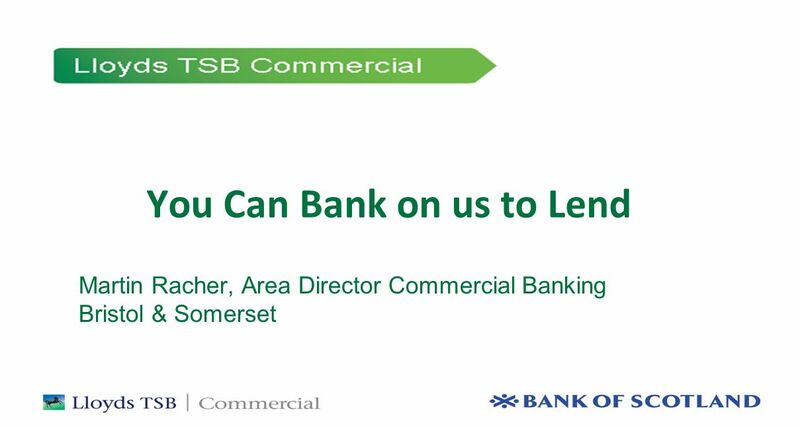 Download ppt "XXXXXX (town) You Can Bank on us to Lend Martin Racher, Area Director Commercial Banking Bristol & Somerset." FEDDEV SODP LOAN PROGRAM DK Phillips Consulting Inc.
Half Year Presentation 7 February This presentation relates to the Freightways Limited NZX announcement and media release of 7 February As. Budget. A financial plan drawn up for an individual, a family, a business or a government. It is usually for a period of a month or a year. Done right. Banking in Todays Environment. Dave Orr Banking Professional for 22 years Expertise in Commercial Lending Employed at West Suburban Bank. Among the most important advisors to a construction firm are: –Professional surety bond producer –Knowledgeable construction/surety attorney –Construction-oriented. 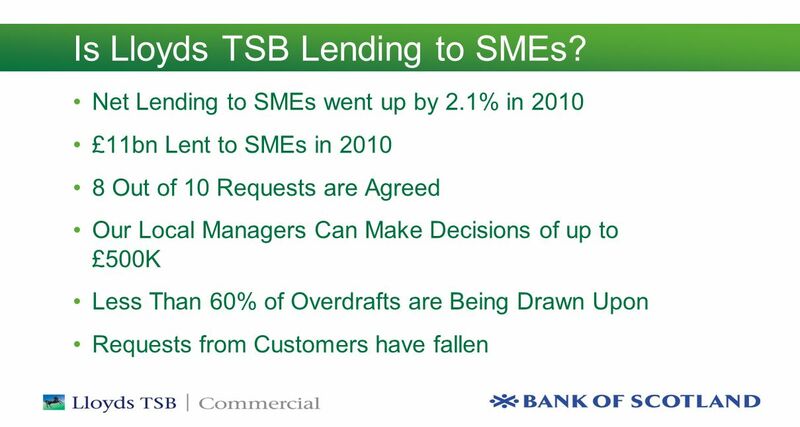 WE’RE COMMITTED TO SUPPORTING YOUR BUSINESS OBJECTIVES At Lloyds TSB Commercial Finance we provide a range of ways in which businesses can secure the. Financing PKS Consultancy. Overdraft Loan – (Finance for Lending Scheme) Invoice Finance Factoring Invoice Discounting Payroll Finance Single Invoice. Accessing Business Finance “Bank Finance” Sharon Smyth Business Finance Mentor Derry City Council 26 th February, 2014. MODULE 1 AS Marketing and Accounting and Finance COMPANY ACCOUNTS Sources of Finance. Business Studies Accounts & Finance An Introduction. 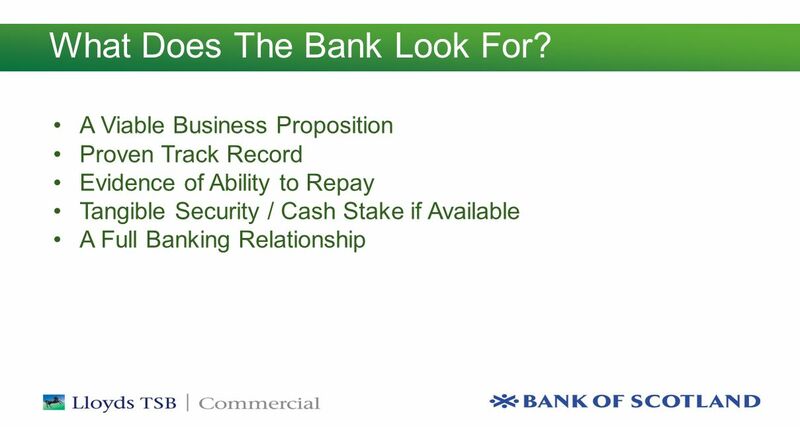 Sourcing Bank Finance For Your Business Warren Power Bank of Ireland 12th September. 1 Supporting South Tyneside Manufacturers Craig McNaughton Area Director. 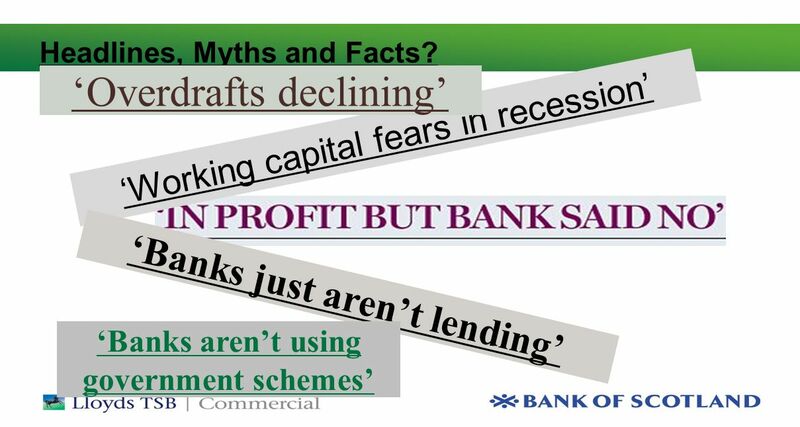 Principles of Macroeconomics Supplement to Chapter 9 How Banks Create Money. 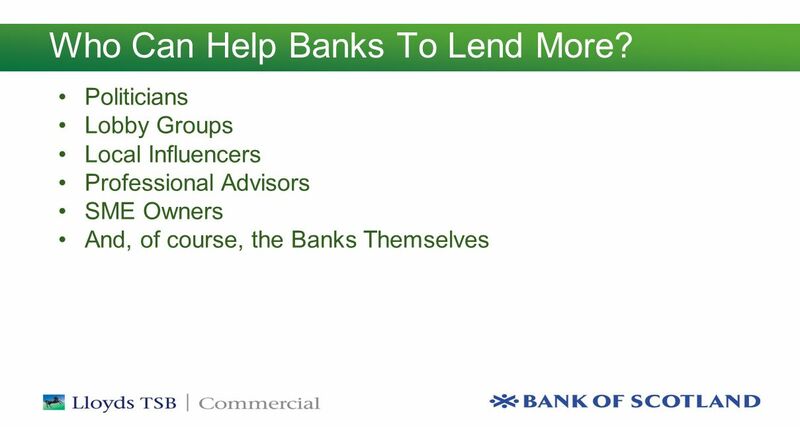 Banks You will be able to describe the functions of commercial banks and central banks Money encouraged specialization by making trade easier. Specialization. PERFORMANCE BASED LENDING HOW MUCH MONEY IS THE BORROWER GOING TO NEED? TRY NOT TO GET INTO A POSITION WHERE ADDITIONAL MONEY IS NEEDED BEYOND THE ORIGINAL. 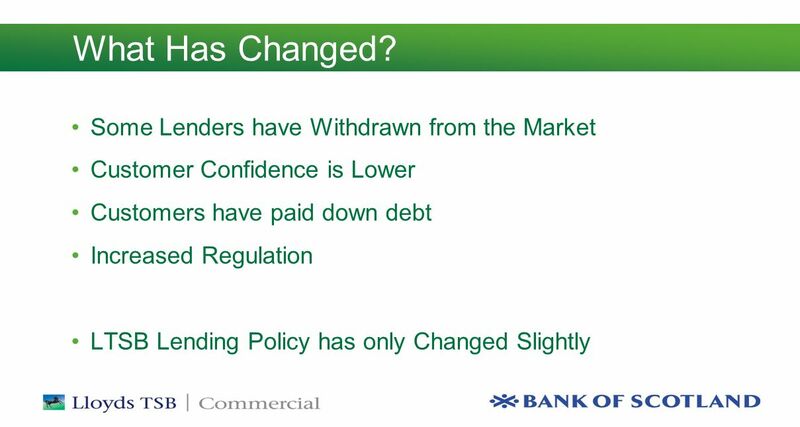 Monetary policy Monetary policy is the exercise of the central bank’s control over the money supply as an instrument for achieving the objectives of general. CHAPTER FIFTEEN Lending Policies And Procedures The purpose of this chapter is to learn why sound lending policies are important to banks and other lenders.